The police officer who arrested the Vice-Mayor Richard Lucibella of Ocean Ridge is currently under fire for possible use of excessive force. Officer Richard Ermeri has only been on the job for a little over a year. 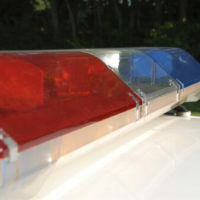 CBS 12 News reports that Ermeri responded to a 911 report of gunshots on the night of October 22. When he arrived on the scene, he seized a .40 caliber Glock handgun from the 63-year-old vice mayor and hauled him to jail for firing the gun in public and allegedly using it while under the influence. According to Marc Shiner, Mr. Lucibella’s attorney, the officer became violent during the arrest, breaking three of his ribs and injuring his eye. Furthermore, he claims that the officer never physically saw the Vice-Mayor fire the gun. “According to that police report there was no mention of any interview of anybody. It’s only the officer’s assertions about what happened and that’s not how you conduct an investigation,” Shiner said. Mr. Shiner is seeking for the charges against Mr. Lucibella to be dropped. The Ocean Ridge Police chief has stated that an internal investigation is now underway.